Whenever possible I like to shoot at magic hour...that hour or few of beautiful light just at the end of a day before the sun sets. The sky gets golden and the light softens and it becomes pure romantic magic. Helps of course to have dazzling subjects such as these! 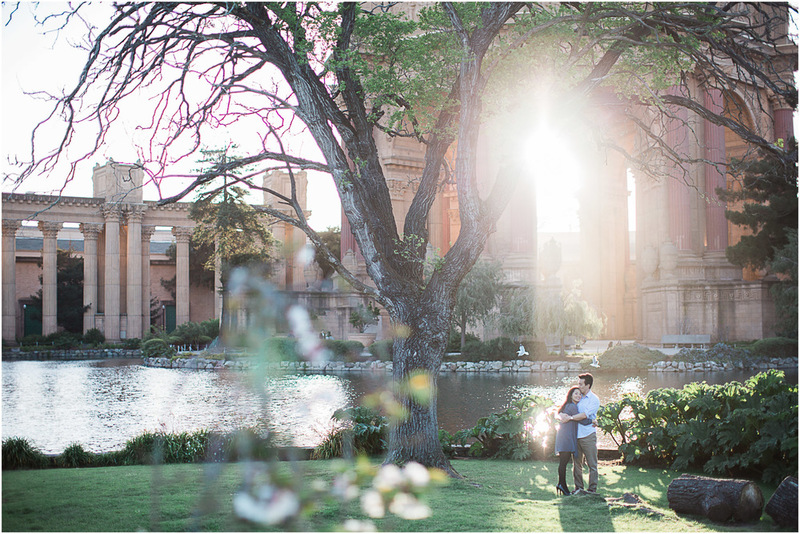 And again and again I'm so amazed what wonderful spots the Bay Area provides for these magic, romantic sessions with dazzling couples. 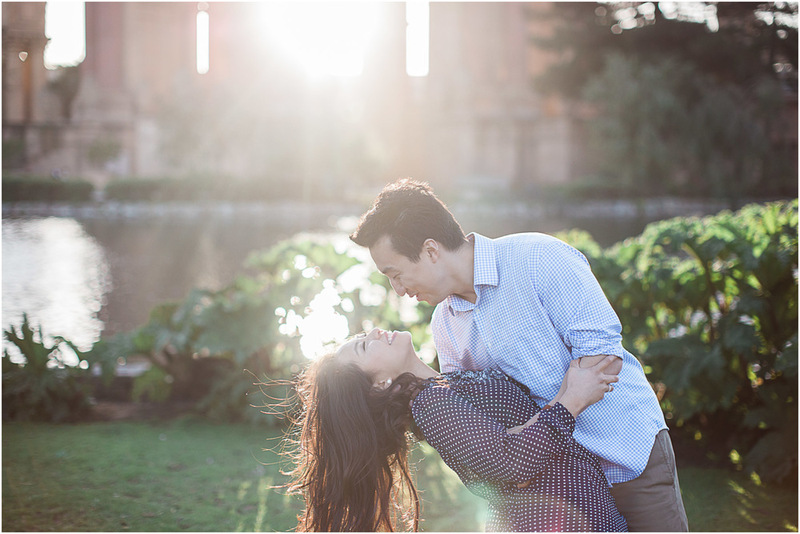 My husband heard a nasty rumor that the Palace of Fine Arts is going to be knocked down for housing...I said people will lay their bodies down in that swan pond before they let that happen...I might be one of them. I hope its just a rumor and could never be true, because beauty like this needs to be preserved. Thank you for being so dazzling Jane and Patrick and I am SO looking forward to your big day in May at the Brazilian Room!